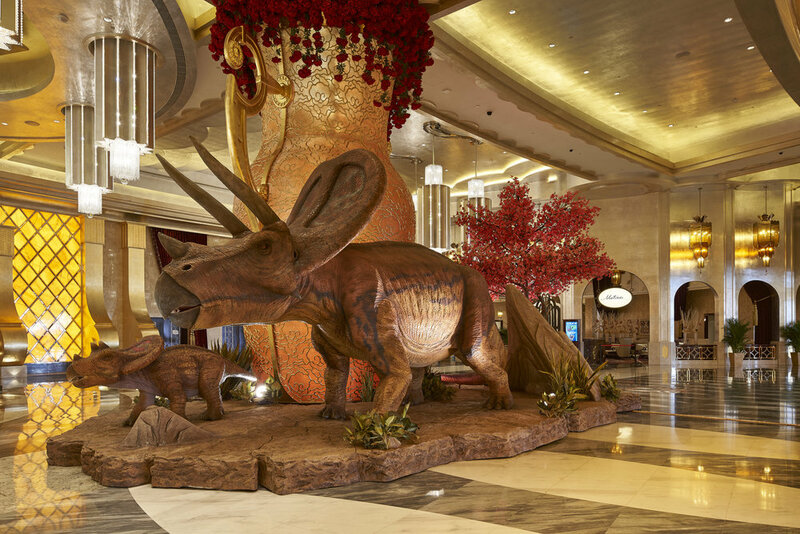 Created by Globe Creative, ‘Dino Hunt’ was an interactive visitor experience designed to offer Studio City’s casino guests a new and exciting dimension to their visit. 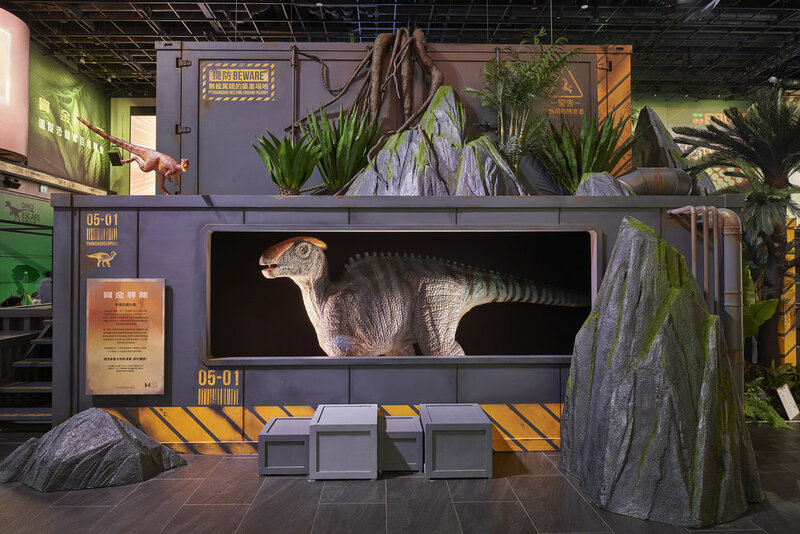 Commissioned by Globe Creative, Studio Cassells designed exhibition / experience including; conceptualising over 20 full-scale static and animatronic dinosaur exhibits, as well as the set elements of AR and VR interactive games, green-screen film and photo opportunities. 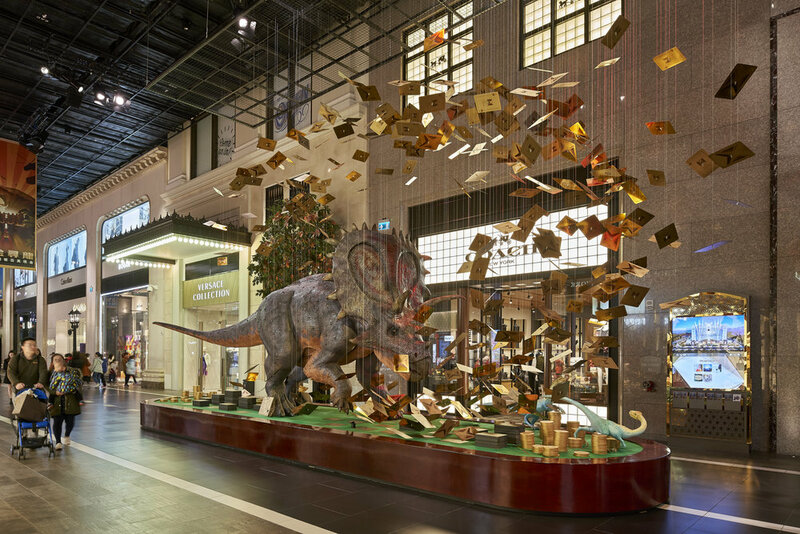 Studio Cassells worked across the project on illustrations, graphics, colour-theming, posing of the dynamic dinosaur displays, thematic set and installations design, quality control and creative direction at factory; resulting in cohesive design narrative which captivated adults and children alike.